Hawaii is all about the spirit of “aloha”. It is much more than a greeting. It expresses the concept of seizing and enjoying moments that leave you breathless. 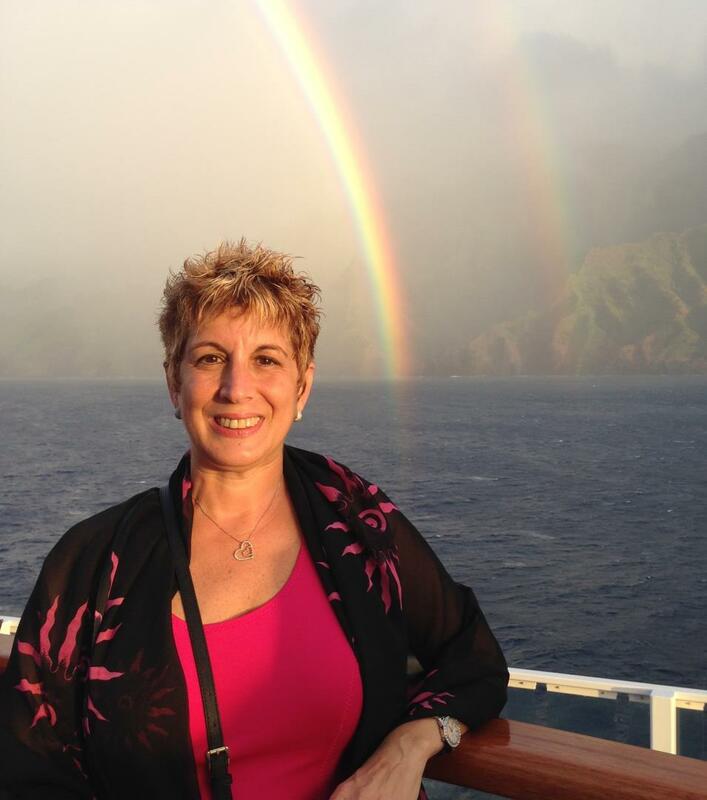 One of my “breathless” moments was when a double rainbow arched across the sky, seemingly leading the way for our ship, Norwegian Cruise Line’s Pride of America, to sail through the beautiful, mountainous Napali coastline. There is no more convenient way to visit many of Hawaii's islands than on a 7-day cruise aboard Norwegian's Pride of America. It means unpacking once, and avoiding the cost and the time associated with traveling from island to island via small planes. Day 1 – Honolulu: The ship sails each Saturday, from Honolulu. First time visitors may wish to arrive a day or two ahead of the sailing to see famous attractions such as The Pearl Harbor Memorial and the Polynesian Cultural Center. Then, it’s all aboard to experience Norwegian’s fabulous food and entertainment. Day 2: The port-intense itinerary brings us to Maui for two full days. I am on deck to see the magnificent mountainous views as the ship pulls into port. We head to Iao Valley State Park to tour a small portion of the 4,000-acres, climbing stairs for a closer look at one of Maui's most recognizable landmarks - the 1,200-foot Iao Needle. From there we go to the Maui Ocean Center for a live show broadcast by a diver who is surrounded by his usual co-workers: sharks, sting ray, and other gigantic fish. Day 3 - Maui: We hit the ground running, touring lavender fields and tasting lavender scones. I rub scented lavender oil on my skin which really does make it ultra soft. Then it’s on to the Maui winery where fallen trees have been carved into totem pole-like structures that tell about its history. We tour the vineyards, and sample wines made with fresh pineapple juice. Day 4 - Hilo on the "Big Island" of Hawaii: Hilo is known for its lush gardens because it gets plenty of rainfall. But after a brief shower, we are awed by a rainbow that appears over the horizon. It is one of many we will come to see in this extraordinary land where colorful rainbows decorate the sky. Our tour guide drives through the beautiful Liliuokalani gardens where we stop to see waterfalls, taste some exotic fruits, and crush our own macadamia nuts. I love learning about the Hawaiian language, so find it interesting that the apostrophe found in many words is called an 'Okina. Without it, meaning is changed. Despite the long, cumbersome names of many places, the words are pretty much pronounced phonetically. I learn that Waikiki Beach gets its name because "wai" means water and "Kiki" means spouting. 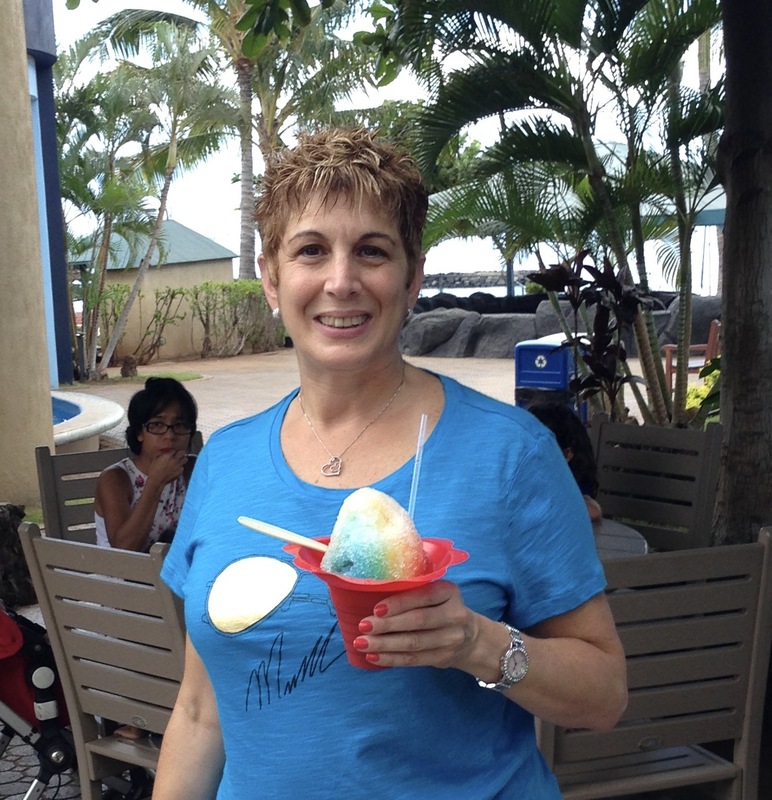 Day 5 – Kona on the “Big Island” of Hawaii: Kona is known for its coffee. Of course, we buy coffee to bring home to everyone. Day 6 - Nawiliwili, Kaua'i: This is Hawaii's "Island of Discovery." Among our day's discoveries include the "Grand Canyon of the Pacific" - Waimea Canyon; the Kaua'i Coffee plantation - the largest coffee plantation in the U.S.; and the Spouting Horn blowhole. It is from today’s guide that I learn about the term, "aloha." "Alo" is "in the moment" and "ha" means "breath." Hawaii, we are told, means "breath of life". It is also interesting to note that the "w" is pronounced as a "v" so we hear all the natives pronouncing Hawaii as "Havaii." Aboard the ship, we are privy to a behind-the-scenes tour which includes seeing monstrous walk-in refrigerators where tons of food is kept. We overnight in Kaua'i. Day 7 - Kaua'i: The day's highlight is being out on deck while sailing through a double rainbow that arches across the sky and over the ship, leading us through the Napali coast, a beautiful mountainous passage. We snap countless photos, and at one point I start singing, "Somewhere over the Rainbow." Another passenger joins in. The experience, viewed through mist and clouds, seems surreal. We all know this is the “aloha” moment of the trip. Day 7 – Honolulu: I leave the Pride of America with knowledge, wonderful memories, and the warm spirit of aloha. For more information or to book a trip, contact "Commodore" Camille today.